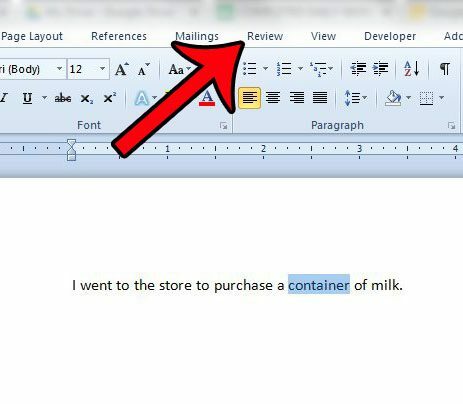 Microsoft Word 2010 includes a number of research tools that can aid you in writing your document. 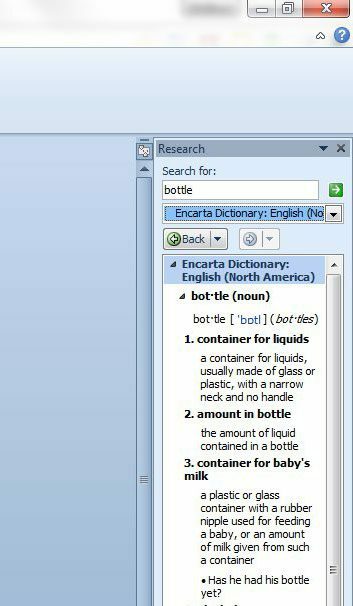 You are probably already familiar with the spellchecker, and possibly the grammar checker, but Word 2010 also has a thesaurus. 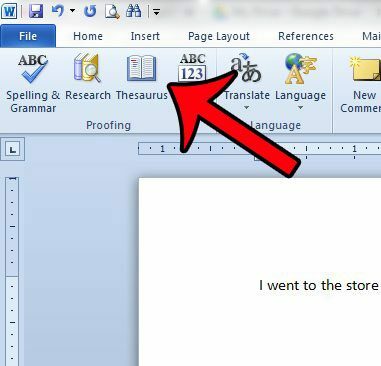 The thesaurus tool in Word 2010 allows you to select a word in your document, then look that word up in the thesaurus. You can then choose from a number of potential synonyms offered by Word and insert them in place of the selected word in your document. 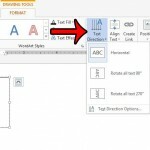 The steps in this article were performed in Microsoft Word 2010. 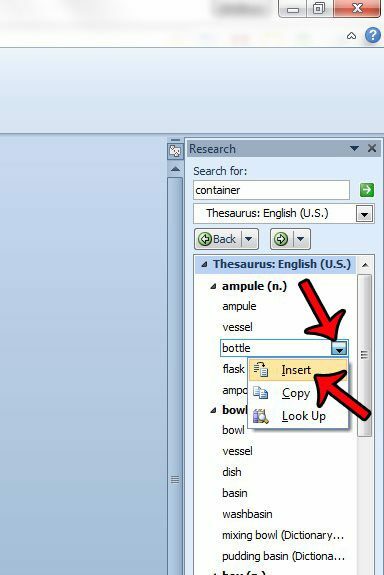 You can also use the thesaurus in other versions of Word, but the steps may be slightly different than the steps outlined below. Step 2: Locate the word for which you wish to find a synonym, then select it with your mouse. Note that you can select a word quickly by double-clicking it. Step 3: Click the Review tab at the top of the window. Step 4: Click the Thesaurus button in the Proofing section of the Office ribbon. 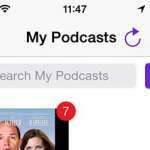 Step 5: Hover your mouse over the word that you wish to use from the column at the right side of the screen, click the arrow to the right of the word, then click the Insert option. 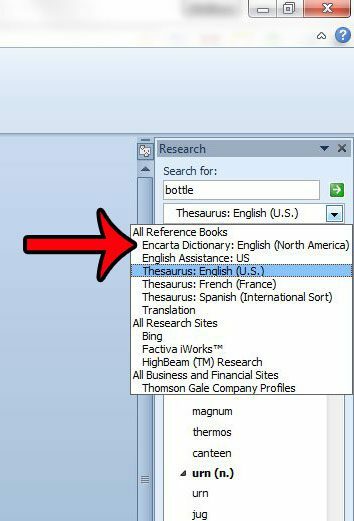 If you are unsure of the definition of one of the synonyms in the thesaurus, then you can click the word to place it in the Search for field at the top of the right column, click the drop-down menu under it, then select one of the dictionary options. You will then be able to see the dictionary entry for the selected word. Do you have a document that you need to check for passive voice? 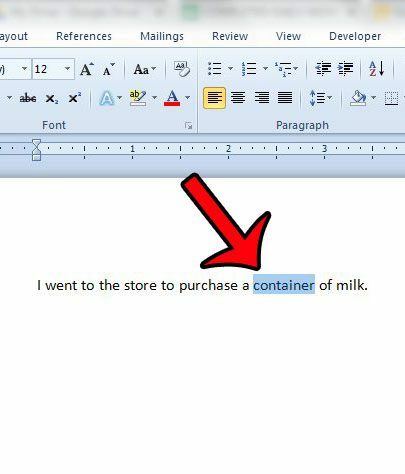 Click here to learn how to add that setting to the Word 2010 grammar check. 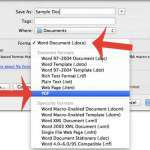 How to Save as a PDF in Word 2011?